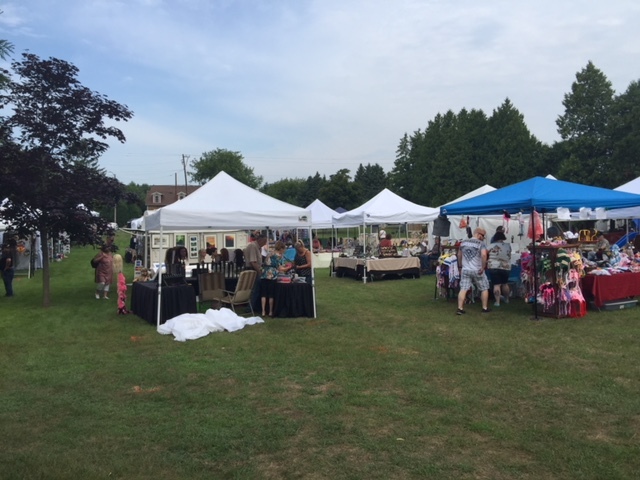 9:00AM - 4:00PM: Bakery booth and arts and crafts fair. 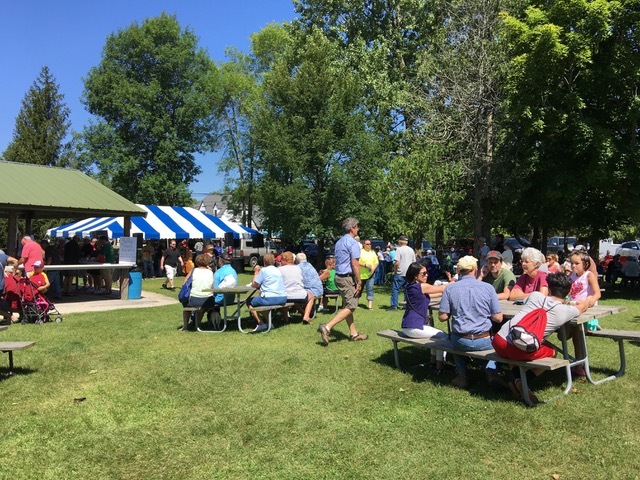 10:00AM: Lunch Booth opens – Lunch and cold beverages for everyone provided by Door County Custom Meats. 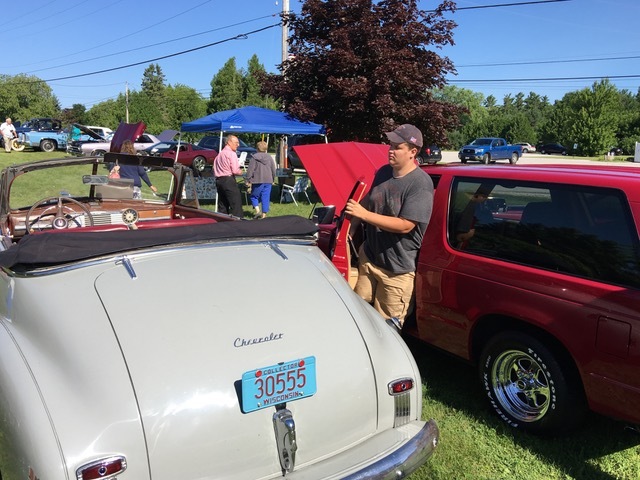 9:00AM - 3:00PM: Vintage Car Show. 10:00AM - 12:00PM: Music by Highland Road, local blue grass band. 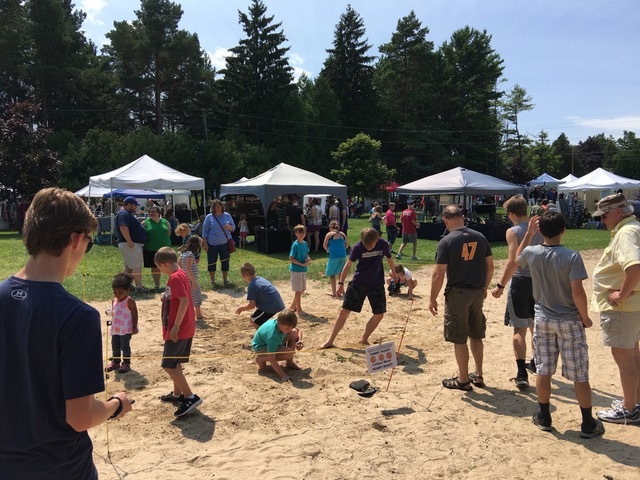 12:30PM: Registration for the Penny Hunt on the beach for the younger set. 1:00PM: Penny Hunt on the beach for ages 3-5 and 6-8. 12:00PM - 4:00PM: Modern Day Drifters, local group featuring country music. Great day for Cherry Fest! 9AM - 4PM: Bakery Booth featuring fresh baked cherry kolaches, cherry pie and ice cream and cherry sundaes. A variety of cherry jams, cherry pie filling and other cherry products for sale to benefit the JHS at a booth nearby. 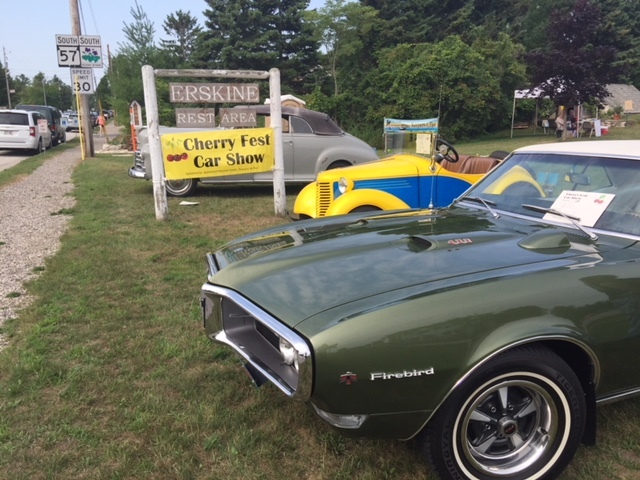 9AM - 3PM: Cherry Fest Car Show - Tractors, trucks and cars on display at the Erskine Rest Area west of the Root Cellar. A "People's Choice" award voted by spectators and participants will be given at 3PM. 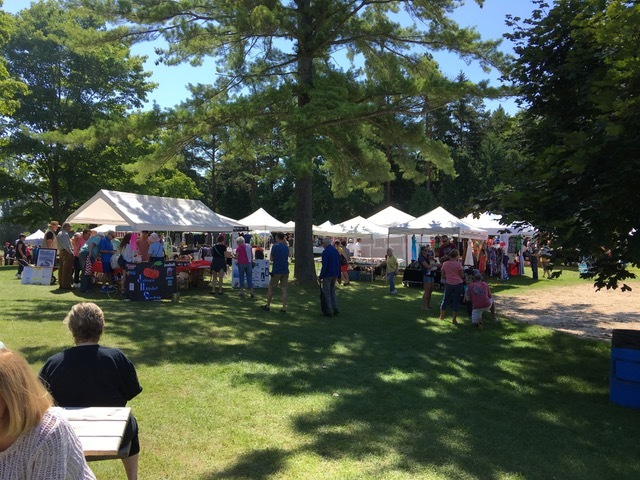 Juried Arts & Crafts Fair featuring talented artists and craftsmen from the Midwest. Many of your favorite artists from past years returning for this show as well as many amazing first timers. Generations. The restored Root Cellar in the Erskine Rest Area will be open to the public. 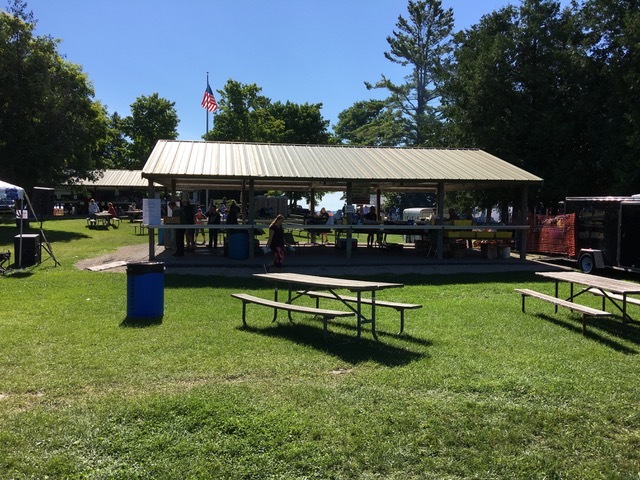 10:00AM: Lunch Booth opens: Hamburgers brats will be provided by Door County Custom Meats owned by Keith and Jaci Birnschein. 10:00AM - 12:00PM: Music by Highland Road a local blue grass band. 12:00PM - 4:00PM: Modern Day Drifters local group featuring country music. All musical performances take place in the Big Tent. Picnic table seating around the tent is available. 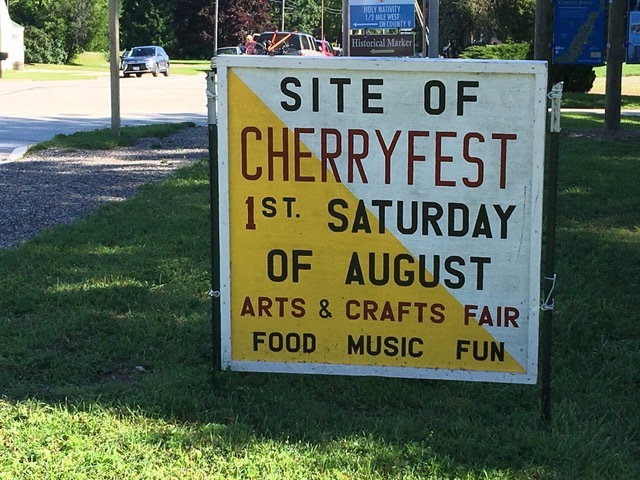 Cherry Fest August 4, 2018! In case you missed the 24th annual Cherry Fest---this is what you missed! What a day!!! Kolache bakers at 5 AM??? Many vendors setting up for the big day. Beautiful day for Cherry Fest! 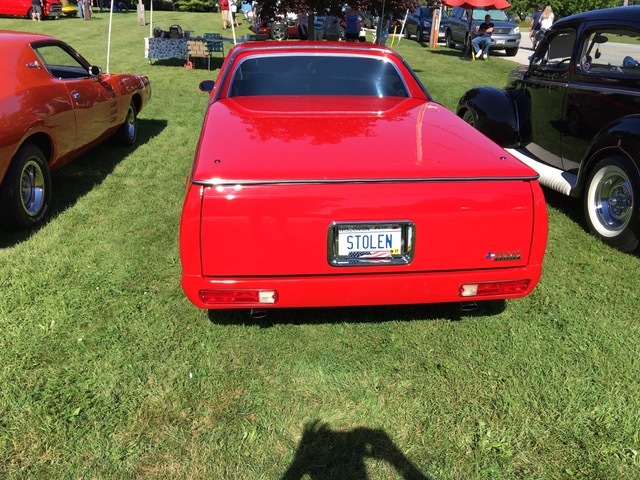 Now for the car show. day before, the sunny skies and slight breeze provided the backdrop for a successful Saturday event. 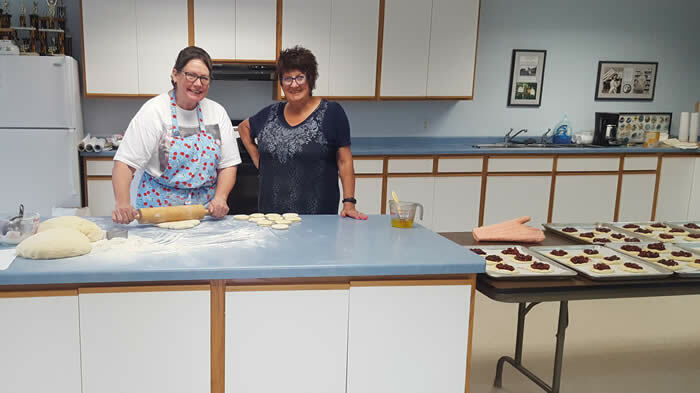 Lori Orthober’s team of bakers and makers created the homemade fresh kolaches, which were again in high demand from the beginning of Cherry Fest until the last sale in the late morning. 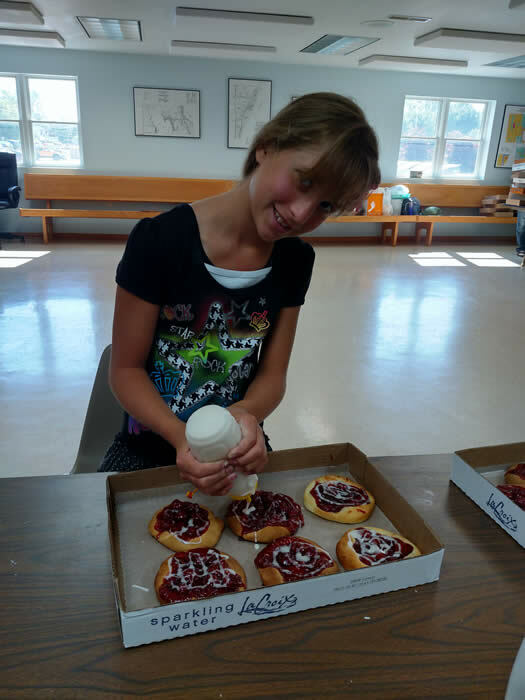 Beverly Ozburn’s team sold the kolaches, plus cherry pies, ice cream sundaes with cherry sauce, and coffee, water, and cherry sodas until the close at 4 pm at the bakery sales area of the upper pavilion. The Jacksonport Women’s Club also provided fresh deep fried cheese curds plus a variety of home made cookies for sale. 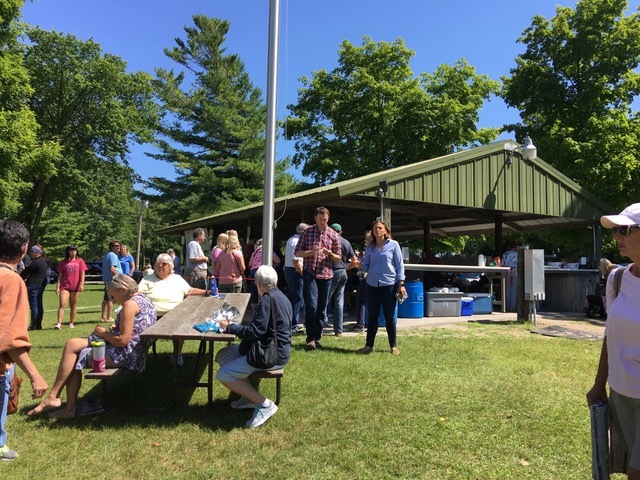 A mix of food and beverages were available at the lower pavilion with Door County Custom Meats providing grilled cherry brats, hamburgers, hot dogs, and pulled pork sandwiches. 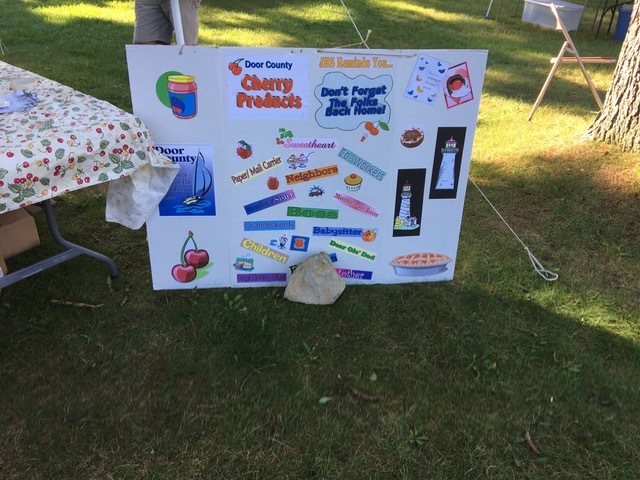 The beverage sales team led by Mitch Honold sold a variety of soft drinks and beer, and Randall Manges sold fresh Door County cherries along with local produce. Phyllis Zatlin and family helped with the kolache transportation, and also staffed the popular cherry jams, jellies, and salsa products at the jams and jellies booth. viewing. Beth also managed the popular Penny Hunt for the children in the early afternoon at the playground area. Sanctuary display of some of the birds they have rescued and care for and a return of the chain saw wood sculpture artist. This year the weather was suitable for horse drawn wagon rides from Lakeside Park around the town of Jacksonport. And the Jacksonport Historical Society’s historical site south of town on Highway 57 was open with two old structures available for viewing – the Loritz Home and the Cote Cabin. Jacksonport Historical Society---proceeds used for repairs and improvements at the JHS museum site. Jacksonport. My personal thanks to all. As you may have noticed we added and or changed a few things again this year. Jeanne Kuhns and her group Small Forest delighted us with their wonderful entertainment in the morning session. The Jacksonport Women's Club changed their menu items a bit and ultimately sold out before the end of the day. Well done JWC! Pete Stoffell was on hand, selling out as well, of whole cherries. Thanks to Pete. 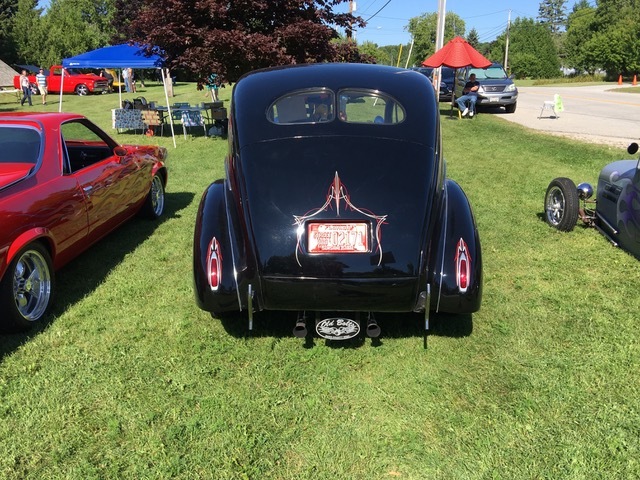 Herb Mueller and his committee pulled off our first car show very successfully suggesting there will be more to follow. And we added helicopter rides thus adding nicely to our bottom line for the day's revenue. Thank you to Nathan Peters and ground crew. Unfortunately, the horses were on a different schedule that day so no wagon ride as promised but they will be back I am assured. As usual we had great vendor turnout in the Arts and Crafts Show thanks to many returning and some new vendors. 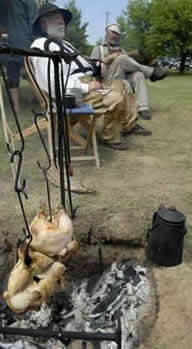 The food was agian superbly, provided by Keith and Jaci Birnschein of Door County Custom Meats. Joe Jarosh and his staff thrilled the kids and parents again at the Penny Hunt. Thanks Joe and staff. Mike, Mitch, Brett, and Kelly kept the very cold and delicious refreshment coming resulting in record sales and happy customers. Eileen Roberts and all of the volunteers at the JHS booth again did a very nice job of showcasing what the JHS is all about and how we operate throughout the year. Great job all. 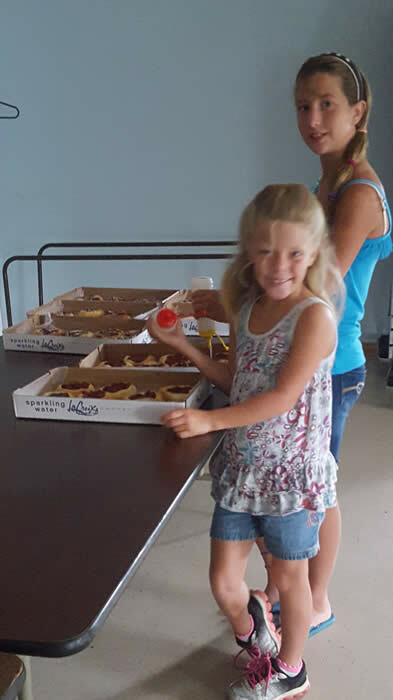 And finally with much gratitude and appreciation for their keeping them coming I want to thank Lisa Bieri and all of the volunteers that helped Lisa bake and Kandie Skippon sell more than 500 kolaches. Sold out way to early suggesting more are needed next year. Oh, and that along with selling out of 125 cherry pies. Hungry crowds and great supporters of the JHS on the grounds once again. I do not want to understate the gratitude and appreciation the JHS has for all the hard work provided by the many, many great volunteers we had again this year. Many are returning volunteers and we look forward to their continued support. Please take no offense to my not mentioning each of you individually. You know who you are and we do also, so please allow me to simply say thanks as we look forward to next year's Cherry Fest. 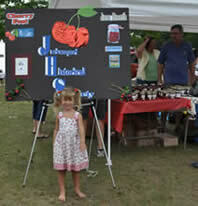 On August 3rd, 2013 a spectacular day unfolded in Lakeside Park downtown Jacksonport at the 19th annual “Cherry Fest”. 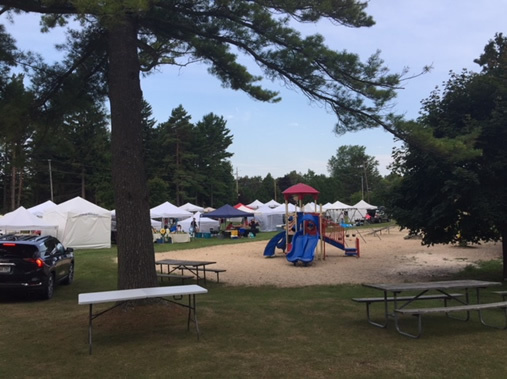 Once again thanks to the dedication and hard work of many friends and volunteers we enjoyed a very successful not to mention profitable event enjoyed by an estimated 2000 participants. Of course with the theme being that of cherries many cherry based food items were again available including over 500 kolaches baked by our very enthusiastic crew of ladies, delivered to the park and consumed by 2 p.m. DC Custom Meats provided the staple lunch with their cherry brats and burgers. 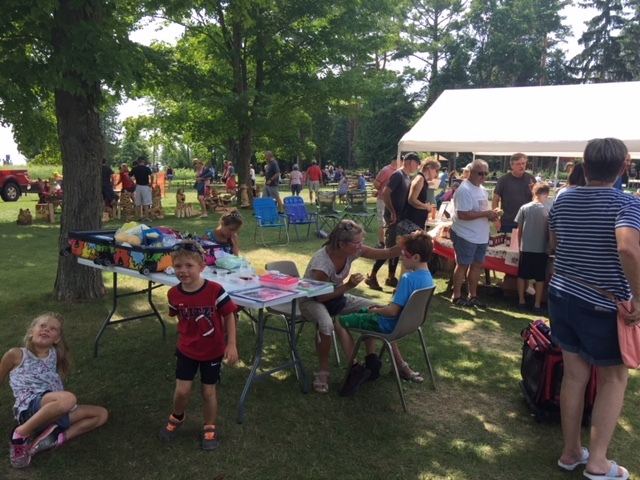 And of course there was the cherry pie, ice cream, jams, jellies, salsa, whole cherries, funnel cakes and a variety of refreshments to go along as well. Mayberry’s Carriage’s provided a pleasant tour of downtown Jacksonport. 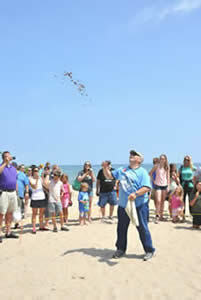 Everyone enjoyed the great and returning live entertainment between 10 a.m. to 1 p.m. by Mr. Matt Wahl followed at 1 pm. to close by the also returning group “The Modern Day Drifters”. 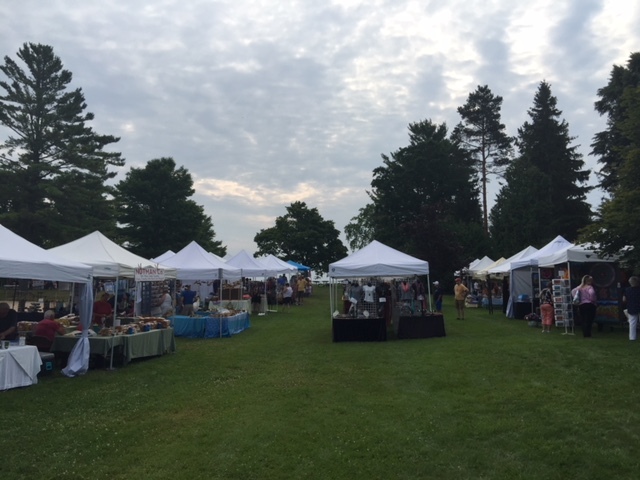 60 vendors occupied over 80 booth spaces providing our guests with a large variety of fine arts and crafts to choose from. And let’s not forget the infamous “Penny Hunt” held on the beautiful sandy beach of Lakeside Park around one o’clock. The playground was equally busy entertaining young and some old alike throughout the day. Mike Kay, Bob Spittlemeister, Bob Mikels and Herb Mueller very graciously displayed their very well kept tractors, truck and car respectively. And of course the infamous “Root Cellar” and many historic artifacts was again on full display in the “Erskine Rest Area. As mentioned earlier it was a great day for all. The profits from the day along with those of all of our efforts throughout the year help to promote the completion of the many cabin and future museum site projects. Please feel free to follow our progress at the site located just atop the hill on the south end of Jacksonport. 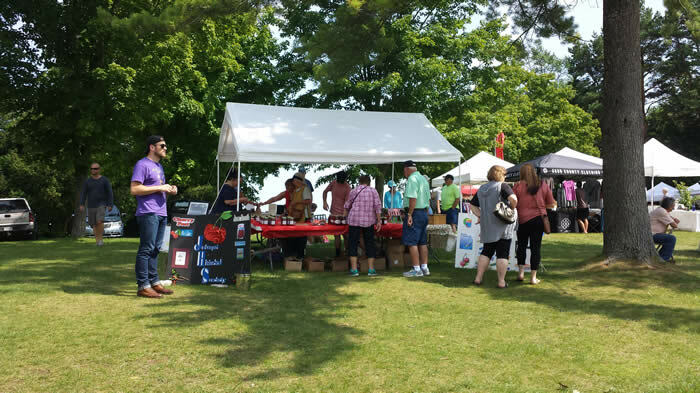 Thanks to cooperation from the weather and dozens of volunteers, Cherry Fest in Jacksonport once again met with success. 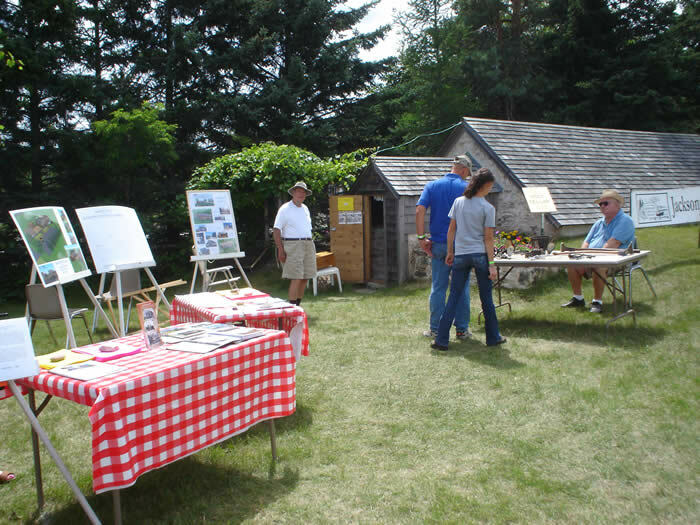 Proceeds from the annual event, held the first Saturday of August, help develop the museum property of the Jacksonport Historical Society (JHS) . Highlights of this year’s festival included the music of popular folk singer and songwriter Matt Wahl and country music by Modern Day Drifters. 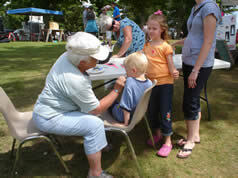 Visitors to Cherry Fest sat at picnic tables or brought their own chairs to enjoy the concerts that ran from 10 to 4. 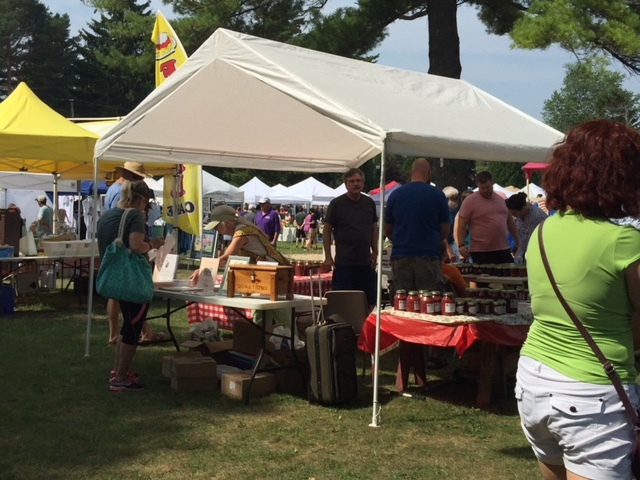 Lakeside Park and the Erskine Rest Area were filled with vendors from the juried arts and crafts fair along with the historical society’s exhibit and display of the Erskine Root Cellar. A variety of food, featuring cherries, was available to eat in the park or take home, and special activities were offered for young children, who also enjoyed the town’s playground. 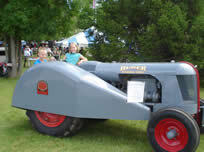 Of special interest were an antique car, truck and three tractors for all to see. Leaders among the many Cherry Fest volunteers typically serve for multiple years before moving on to other projects. This year several stalwart workers have asked to pass the torch on to others. They include Joe and Sue Jarosh and Vicki Bley. Joe has long helped with setting up Cherry Fest, running the beer stand, organizing the penny hunt, and cleaning up at the end of the day. 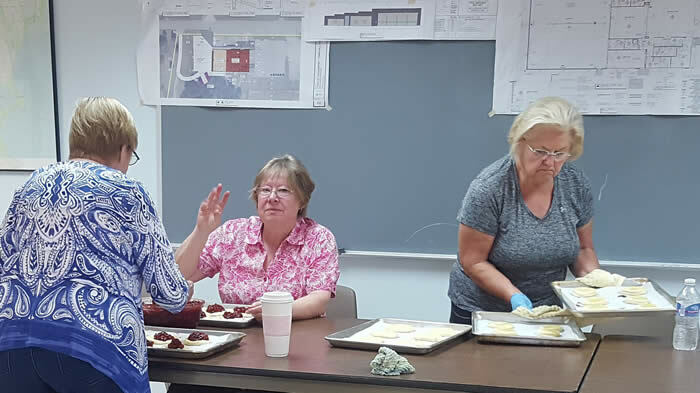 Sue, who spearheaded the creation of Cherry Fest, has overseen the preparation of the ever-popular, freshly baked cherry kolaches. Vicki has served as the overall director or co-director of Cherry Fest for the past several years. The new co-director of Cherry Fest for 2013, Darrel Birnschein, shadowed Joe Jarosh and Vicki Bley this year to be ready for his new responsibilities. He will join Kandie Skippon in overseeing this major fund-raising project. The JHS museum site is located at the top of the hill on State Hwy 57 as one heads south from the village of Jacksonport. Two historic log cabins have already been moved there and plans have been approved for a new building that will house the society’s library. Check out the progress at the Museum Tab. 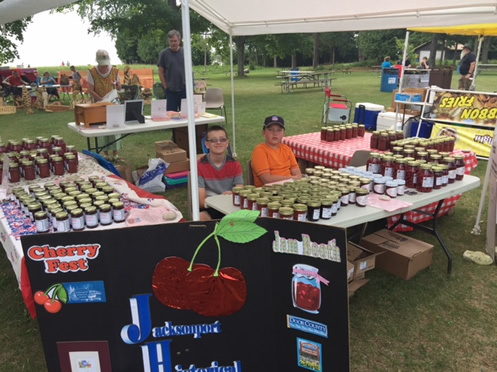 On August 6,2011 the Jacksonport Historical Society, Inc. once again celebrated the cherry harvest at Lakeside Park in Jacksonport with the 17th annual Cherry Fest. The day started out cloudy but soon the large crowds of happy folks came to listen to music and shop the many artists displaying their hand crafted items. To start the day fresh baked kolaches and coffee were available. The hardy volunteers had been busy since 4 am that morning baking the delicious treats. Keith and Jaci Birnschein and their crew from Door County Custom Meats arrived, fired up their grill and started serving cherry hamburgers, cherry brats, and pork sandwiches all prepared especially for us. Always delicious! In the meantime the Jacksonport Historical Society was busy opening the root cellar in the Erskine Rest Area which was restored a few years ago. Sandy De Master, and two of her friends demonstrated the fine art of spinning wool sheared from her very own sheep. Certainly a learning experience for those of us not familiar with this amazing process. As the morning progressed we heard the soft melodic sound of the guitar of Matt Wahl playing folk music as well as some of his original pieces. 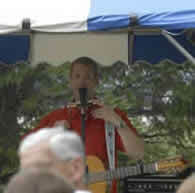 Matt has been playing at Cherry Fest for many years. 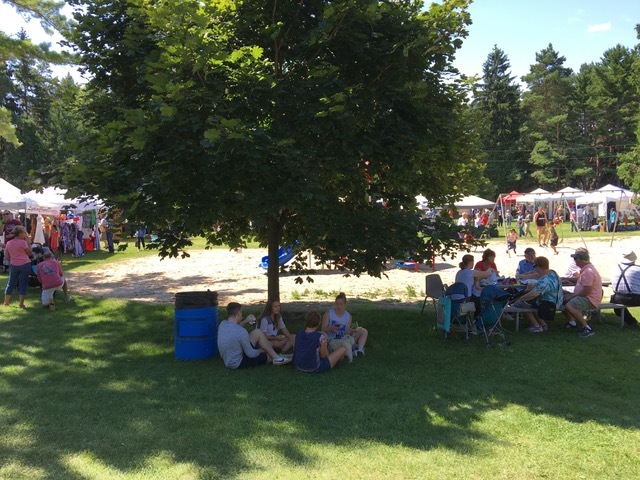 Now that everyone had lunch they needed desert and that they found at the Jacksonport Historical Society food booth where the most delicious cherry pies, furnished by Grandma Tommy’s Market, were available to purchase. Along with the pie, they had coffee, cherry ice cream, cherry sundaes, and a cherry drink to wash it all down. The Jacksonport Women’s Club provided delicious funnel cakes. A variety of jams and jellies were also sold at a nearby booth. On the beautiful sand beach that Lakeside Park is known for, was a penny hunt. 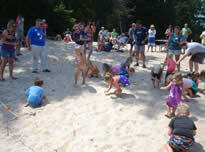 Fun for kids and adults alike as the kids searched the sand to see who could collect the most pennies. Then a change in music as the Modern Day Drifters began their 3 hour set. 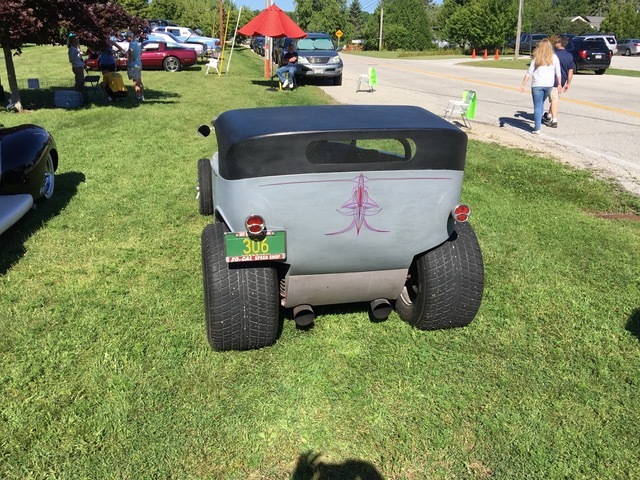 So for another year Cherry Fest was a successful fund raising event for the Jacksonport Historical Society, Inc. The money that is raised at this event goes to help develop the museum property located on the south end of Jacksonport. 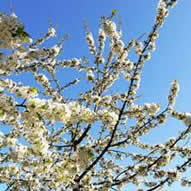 So in 2012 Cherry Fest will be Saturday, August 4 at Lakeside Park. A fun time will be had by all and will make it possible for the Jacksonport Historical Society to be “keepers of the past” for all future generations. In 1935, Claire Acker was named Door County's National Cherry Pie Baker and was chosen to deliver cherries to President Roosevelt on his tour of Northeastern Wisconsin. Claire is the granddaughter of Margaret Butler Higgins, whose family arrived in Jacksonport in 1874. 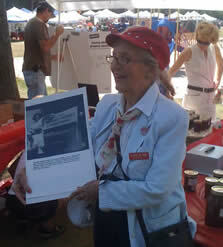 A 1935 picture of Claire is on display each year at the cherry jam and pie filling booth at Cherry Fest. In 2011, Claire Acker Radi herself was there to see it. 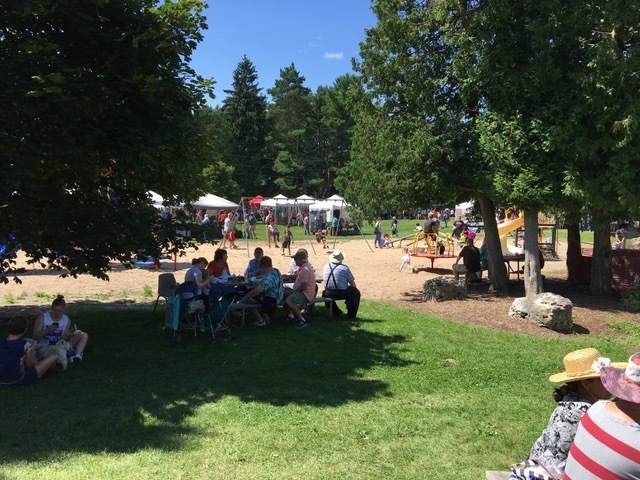 Now 95 and a resident of San Antonio, Texas, Claire included Cherry Fest in her August visit to Door County with her children and grandchildren.